Specializing in Basement Delivery, we started the service and we have perfected the service. Simply we put it where you need it! Next day delivery can be arranged for majority of orders. Voted the fifth best Canadian city to live in last year, Regina has long been a favored place of work for 1-800 Drywall. If you are in need of drywall supplies for your building or remodeling project, don’t hesitate to contact 1-800 Drywall today; we have everything you need and more to get the job finished. Don’t let our name fool you, because we have more than just drywall in stock. From tools to materials and everything in between, we like call ourselves the one-stop shop for all things drywall-related. We work hard every day to maintain this title too. We make the material selection process as easy as can be with our fully functional online ordering tool; simply input the dimensions of the room you are working with and let us do the rest! Our drywall and finishing calculator is super user-friendly and accurate; all you have to do is input your wall height, the total length of walls that need to be dry walled and your ceiling width and length (if it applies). What could be easier than this? The last thing we want to do is make the ordering process confusing for our customers; all you have to do is add what you want to our virtual shopping cart and we will handle the rest. 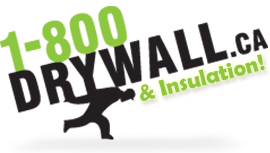 At 1-800 Drywall, we have a large inventory of drywall tools and materials on hand at all times. To accommodate the various needs of our clients (residential and commercial); we make sure to never run out of stock. Thus, if you are in need of a tile backers, compound, thermal insulation or joint tapes, feel free to give us a call to get hooked up. Check out our full product list below.